On the palate, and most importantly - to the color! 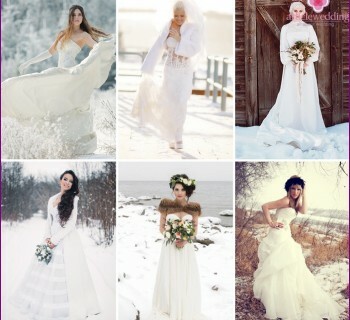 In 2013, the bride can afford a dress of any color. From soft blue to bright scarlet. And if not black. Down with stereotypes, shouting designers. The traditional white, of course, is good. But this season he actively pushed around. First of all - shades of sand and cream. But among the pastel colors of the designers did not stop. On the proposal of Vera Wang, the bride should be shocking. So, give way to all shades of red, luxurious burgundy, scarlet, and even almost black. Speaking of black. Ines Di Santo was not limited to tones, and all sorts of "almost." Black - means black! And I must say, coal-black tight wedding dress looked very worthy models. Anyway www.articlewedding.com our portal approves. That's what is a bride DouglasHanant. Designer was released on catwalk models in wedding dresses with delicate blue-painted a la "porcelain". But the main highlight of the designer is called a silver lace top dress. As they say, remember the 20s. 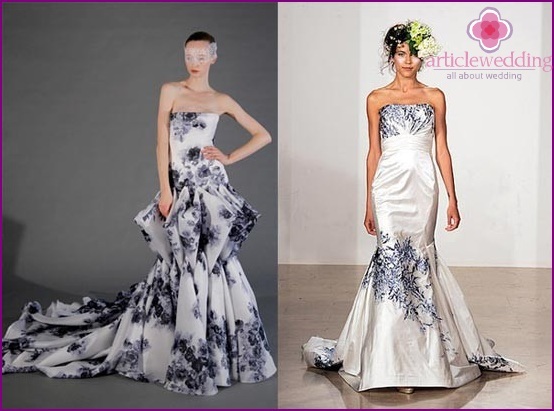 Air and romance - the basic postulates of wedding fashions 2013. 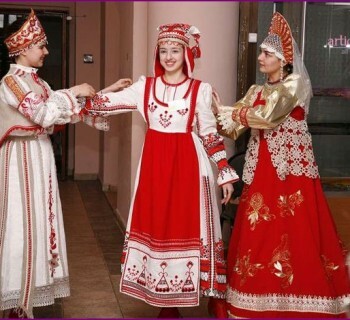 Some fasonchik altogether can be called nomads of 2012. Chief squeak fashion wedding industry - "Mermaid". The narrow, diverging towards the bottom silhouette. Moreover, the very divergent. Fashion Masters extended "tail", or rather train. And good "thickened" skirt. 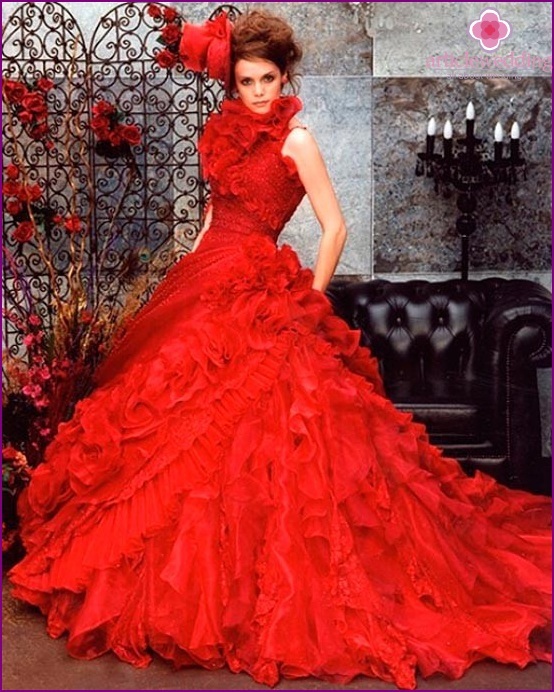 The second most popular are wedding dressesBustier dress. And, obviously, not only because of the beautiful open neckline and shoulders. Another advantage bustier designers believe excellent compatibility with any kind of skirt. Whether it's lush, a la Princess or her short mini. Not inferior to the laurels of popularity in wedding dressesEmpire style. Inflated waist, skirt, perfectly underlines the figure, delicate flowing plume. This dress fits perfectly in a harmonious image of the bride. And have excellent "to the table" at the wedding of the Greek type. Another leader of wedding fashion - dresses a-line. The phrase "simple and tasteful" clearly about this outfit. Minimalism and, at the same time, elegant, subdued many podium maestro. And thus again legitimized its place in the fashion throne. Lace fever in 2012 to the current year is notwas passed, according to wedding portal www.articlewedding.com. Swipe to the pearl finish and lost positions. Place finish in 2013 the leaders of the wedding firmly taken numerous small folds - particularly distinguished pleating. The list of favorites is also bulky items. Especially we love this season bow - a tribute to the retro style. But the main finishing touch to this season is the color. Moreover, "under the distribution" were not only the dress, but also hairstyles, and even jewelry. Departure from pearl placers designers with a vengeancecompensated rhinestones. Some drew off and did their best. The same Jeny Packham, for example, literally "Shots" dresses with sparkling drops. An unambiguous message of brides - do not be afraid to shine, designers favor!